Our Mission: Bellmark Real Estate provides exceptional service and value through a team approach with integrity and respect for our clients, colleagues, and community. Bellmark Real Estate was founded in 2002 (previously named Elliott Bay Real Estate) with the belief that customers of residential real estate services deserve higher levels of service, value, integrity and client loyalty. The result is a skilled, conscientious team of real estate experts, including sales professionals, a certified land use planner, and a real estate attorney, all committed to providing complete real estate service and expertise with uncompromising standards. We are an experienced team of real estate professionals who have voluntarily adopted higher legal and ethical practices than the industry standard. Meet the Bellmark Team. We never represent both sides of the same transaction. We provide complete transparency on all deal terms. We remain independent of third-party service providers. We offer complete real estate services and meticulous client care. Our clients’ interests come first—always. 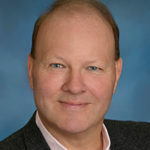 Stuart has represented hundreds of real estate buyers and sellers throughout the Puget Sound Region over the past 25 years. He is consistently among the top 1% of brokers nationwide, in terms of number of transactions completed each year. A licensed real estate broker since 1992 and an attorney since 1984, he brings broad and deep experience to Bellmark Real Estate’s real estate brokerage services. 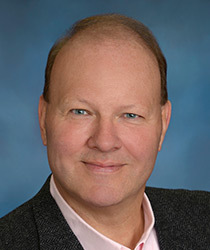 Stuart serves on the Board of Directors for the Northwest Multiple Listing Service. In addition, he is on the Board of Directors and is Co-Vice President of the Northwest Independent Brokers Association (85% of all real estate firms are independent). Stuart is also a member of the Commercial Brokers Association and the Rental Housing Association of Washington. Stuart is also a principal at Elliott Bay Asset Solutions, a specialty consulting firm that offers real estate and receivership expertise on complex real estate challenges. In addition, he has been retained by multiple attorneys as an expert consultant on real estate matters. Combining his dedication to public service and real estate, Stuart has lead teams and worked on-site at Habitat for Humanity building projects in Hungary, Jamaica, Chile, Dominican Republic, Jordan, Brazil, Guatemala, Portugal, Romania, and Cambodia. He also worked in Mother Teresa’s Kalighat Home, a free hospice for the poor, and Prem Dan, a home for the destitute and elderly in Kolkata (then named Calcutta), India. Learn more about Stuart’s work with Habitat for Humanity. As Chair of the City of Bellevue Parks and Community Services Board, Stuart has visited almost all the city’s nearly 100 parks. Read about his park exploration in Bellevue’s It’s Your City. Stuart lives in Bellevue, Washington with his wife, Britt, and two young daughters, Tamryn and Morgan.